ItemPDP05155 - Sketch Of Ship. ItemPDP05156 - Sketch Of Ship. 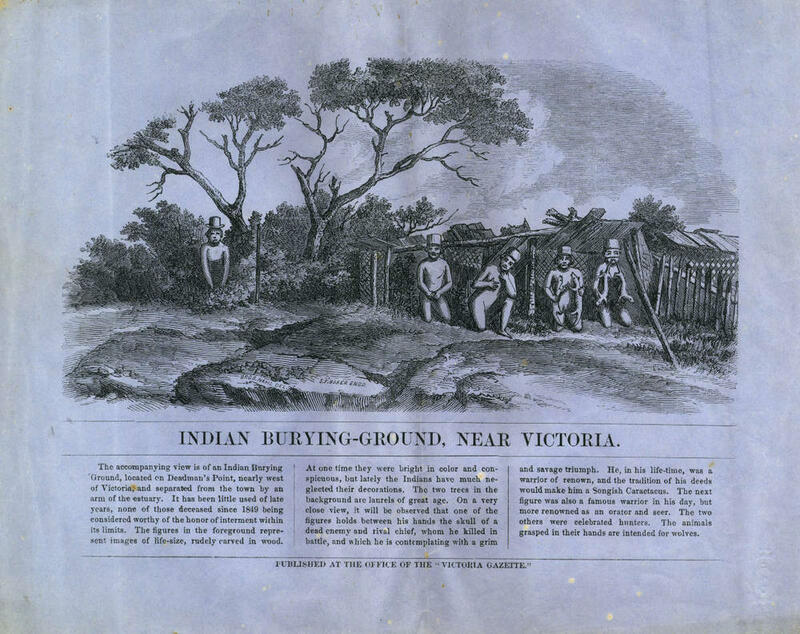 ItemPDP03722 - "Indian burying ground, near Victoria"; lithograph engraved from art by Charles Christian Nahl (1818-1878). Item PDP03722 - "Indian burying ground, near Victoria"; lithograph engraved from art by Charles Christian Nahl (1818-1878). Descriptive text below image locates burying ground on Deadman's Point. "Published at the Office of the 'Victoria Gazette'" S.F. Baker, engraver.